Buying a condominium can be challenging, especially since it involves multiple processes, procedures and documentation. The following information on resolving disputes is not a substitute for legal advice. If you are having problems with your developer, you should contact them about your concerns and try to reach a mutual solution. It is important to have problems and any agreement to problems documented in writing. If the developer is not following the rules under the Condominium Property Act and its regulations, you may want to contact Service Alberta’s Consumer Investigations Unit. 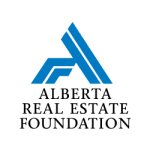 Service Alberta is the government agency responsible for investigating developer offences under the Condominium Property Act and its regulations. You should seek legal advice for any issues that arise with your developer before, during and after the purchase process. The Law Society of Alberta’s Lawyer Referral Service can provide you with the names of three lawyers who practice condominium law in your area. Please note that lawyers through this service generally charge for their services. Call 1-800-661-1095 for more information. If you run into any challenges in working with your real estate professional, you should talk to them about your concerns. Open, honest communication is key to a healthy working relationship. If you are unable to resolve the issue through talking with your professional, you may want to consider contacting their broker to discuss the problem. If you cannot reach a satisfactory resolution with the professional or broker, you may be able to file a complaint with RECA. RECA has produced a comprehensive Guide to Complaints that outlines the dispute resolution options available if you have a problem with your real estate professional. If you think you’re working with an unlicensed real estate professional, read RECA’s Guide to Complaints Related to Unauthorized Practice. Depending on the nature of the problem, you may want to seek legal advice. If you run into any challenges in working with your lawyer, you should talk to them about your concerns. Open, honest communication is key to a healthy working relationship. If you’re unable to resolve your issue, you may able to file a complaint with the Law Society of Alberta. For more information on what type of complaints the Law Society will investigate, visit their website or read their Complaint and Inquiry Guideline. If you have any difficulties with your document review company, you should talk to them about your concerns. If you’re unable to resolve the issue through dialogue, you may want to file a complaint with the Better Business Bureau and/or seek legal advice about your options. If you have any difficulties with your home inspector, you should talk to him or her about your concerns. If you cannot reach a resolution, you may be able to file a complaint with Service Alberta. You may also want to seek legal advice about your options, depending on the seriousness of the issue.